Only hours after the broadcast, Trump was back on television and characteristically bullish about his performance, calling it "very well received and probably got very good ratings, who knows." Very good, but not spectacular. Preliminary Nielsen ratings measuring households in 56 U.S. markets gave Saturday's "SNL" its highest rating only since January 2012. Basketball great Charles Barkley was host that night. Full results, including viewership figures, will be released Thursday, NBC said. Trump also told CNN's "State of the Union" that some sketches were cut because they were "a little risque." He did not go into details. 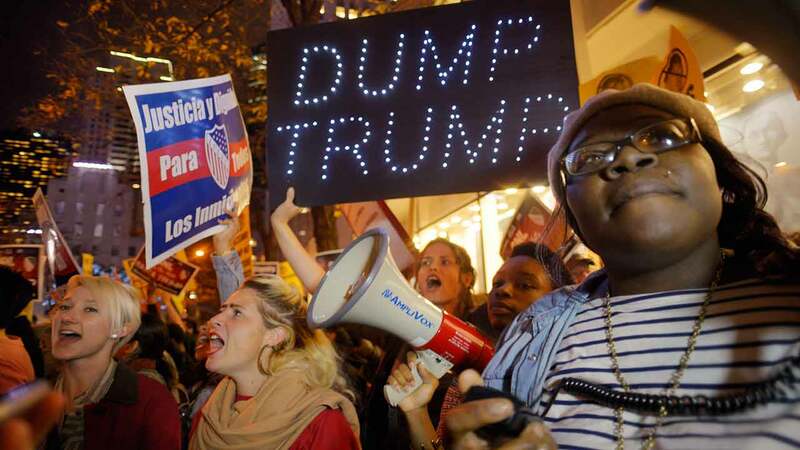 Hours before the show's live broadcast, dozens of protesters marched from Trump Tower to NBC's studio in Rockefeller Plaza, chanting in both English and Spanish and carrying signs. In Spanish, they chanted: "The people united shall never be defeated" and signs declared SNL racist.